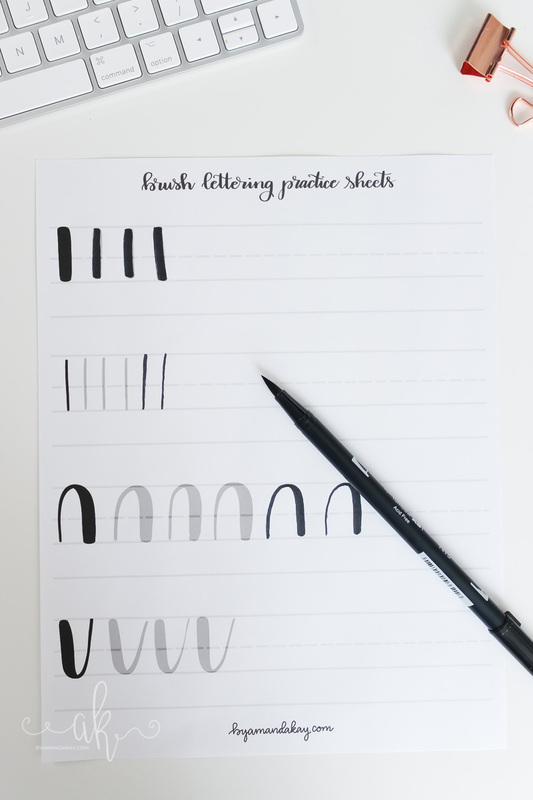 Free printable brush lettering practice sheets to help you get the hang of brush calligraphy! 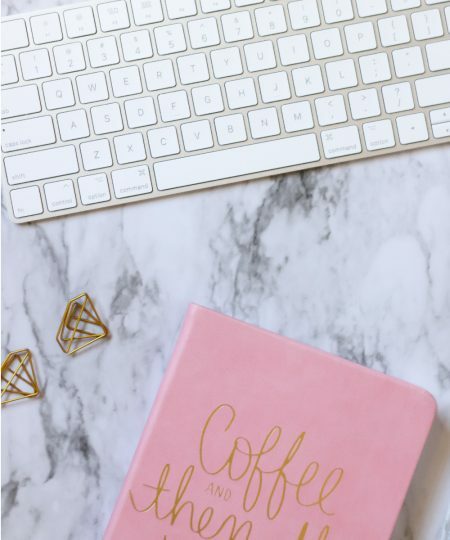 Print multiple copies to practice daily. 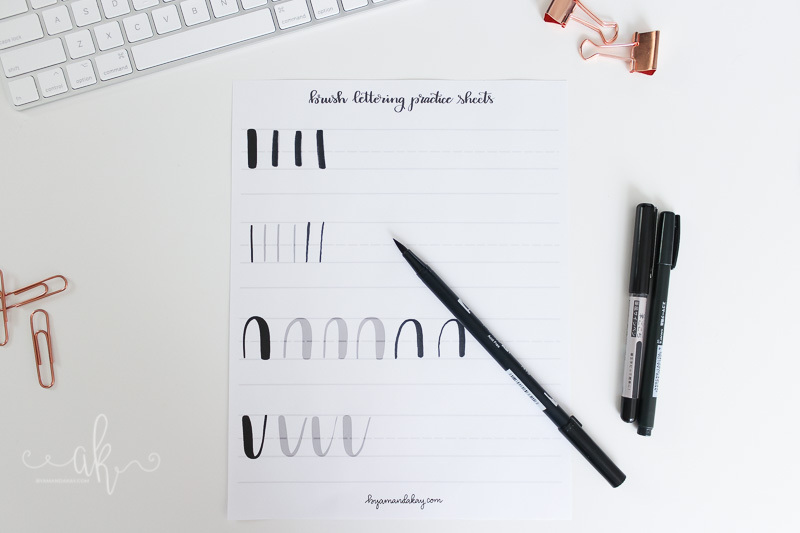 Did you catch this weeks first post in a series of 4 on the Basics of Brush Lettering? 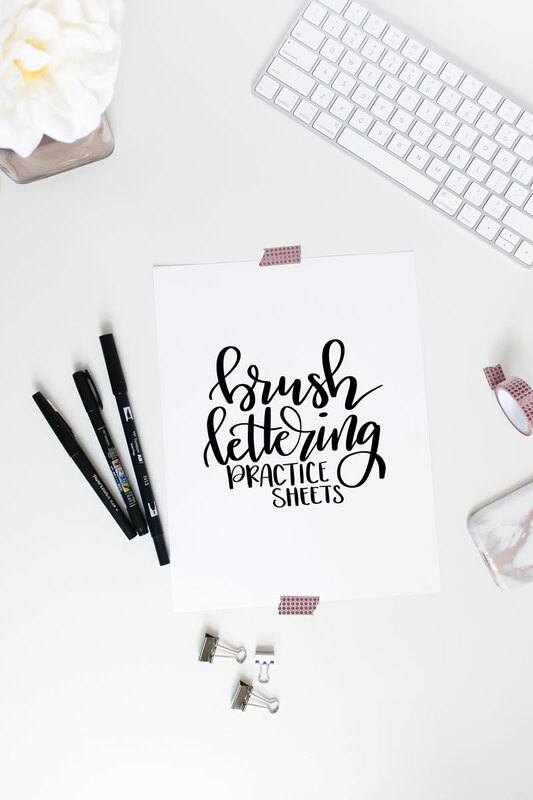 If not, you’ll definitely want to check it out because I touched on the basic tools and concepts of learning brush calligraphy. I was a newbie (and still consider myself to be one) struggling to learn the ins and outs not too long ago. That’s why I’m sharing everything I’ve learned with you over the next few weeks. 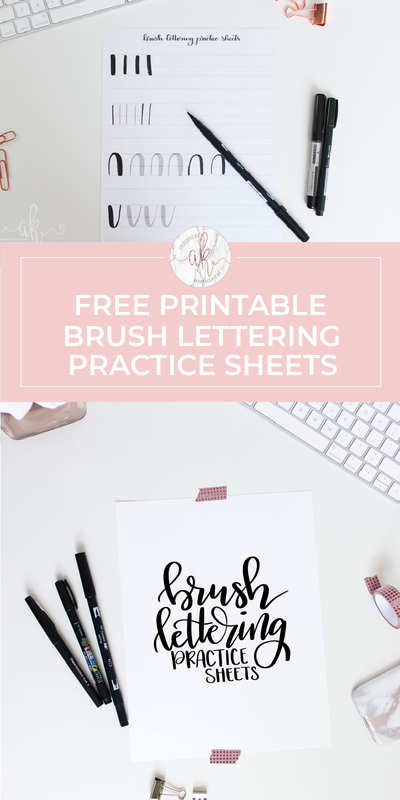 If brush lettering is something you’ve been wanting to learn as well, make sure you bookmark this page, or sign up for my monthly email newsletter to keep up on the series! 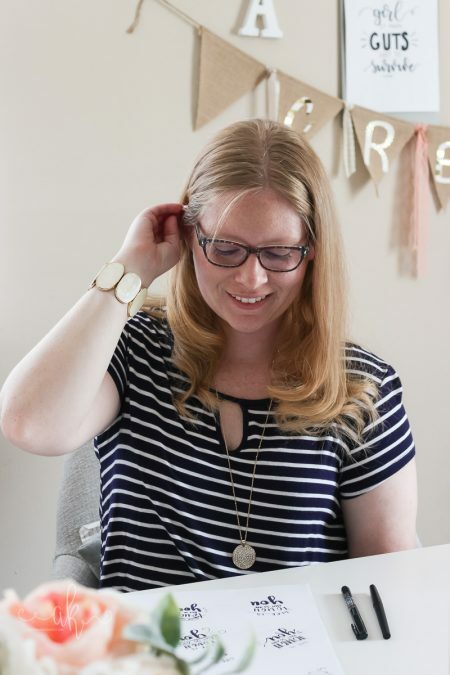 Ok so you’re probably here because you want to get lettering right? Great! 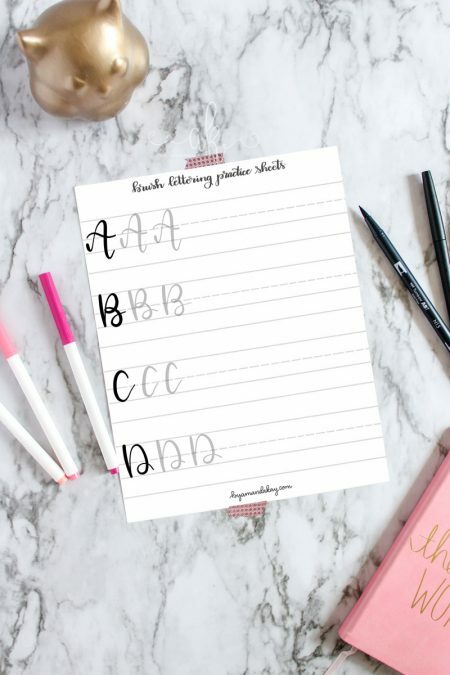 You can print these free brush lettering practice sheets to use at home. Print as many as you’d like to get yourself familiar with the strokes and muscle memory. Simply click the link below to download the PDF files to your computer, then print! Easy as that! 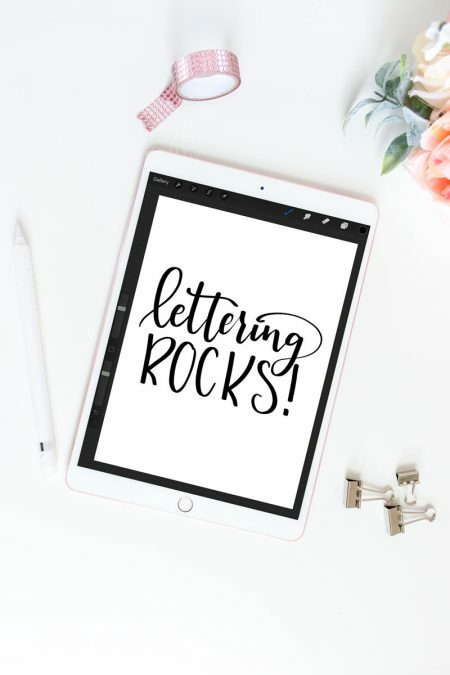 If you are looking for practice sheets for iPad lettering with the Apple Pencil and Procreate app, you can still use these no problem! Just click the link below (on your iPad) to bring up the PDF. Then take a screenshot of each page. Upload it into Procreate and get practicing! 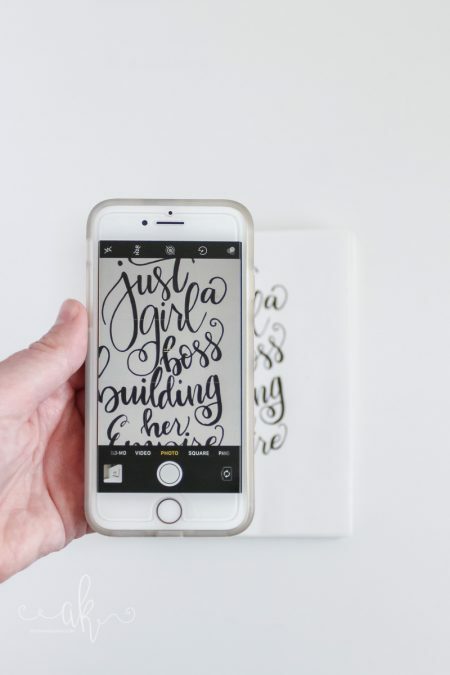 Next week we will be talking all about the composition of brush lettering, and discussing ascender, descender, cap heights and all that fun stuff so make sure you check back!